GreyFriars has one fully accessible room designed for the convenience of wheelchair users. 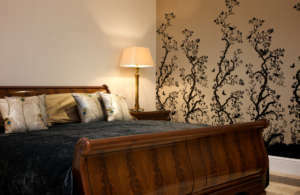 This is Room 23 “The Courtyard Suite”, a luxurious Junior Suite on the ground floor of All Saints House. 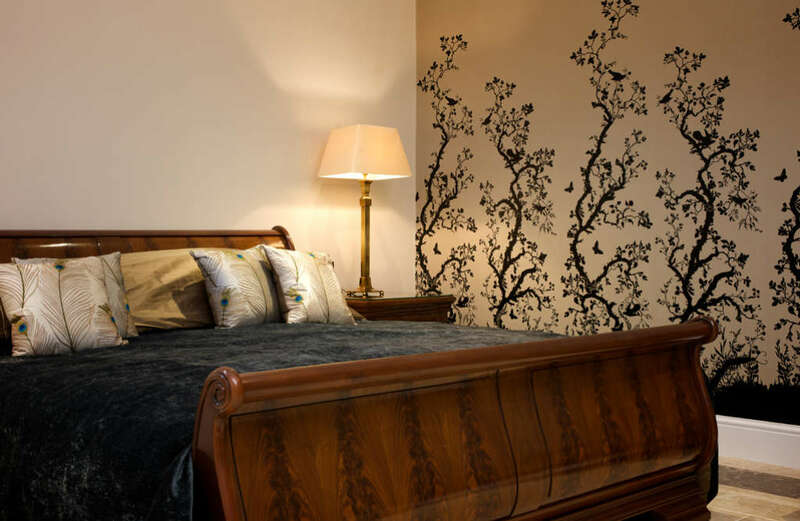 The Courtyard Suite has a beautiful marble floor throughout, with a Super King Size sleigh bed, bespoke high gloss walnut furniture and exotic wallpaper, curtains and soft furnishings by Timorous Beasties. 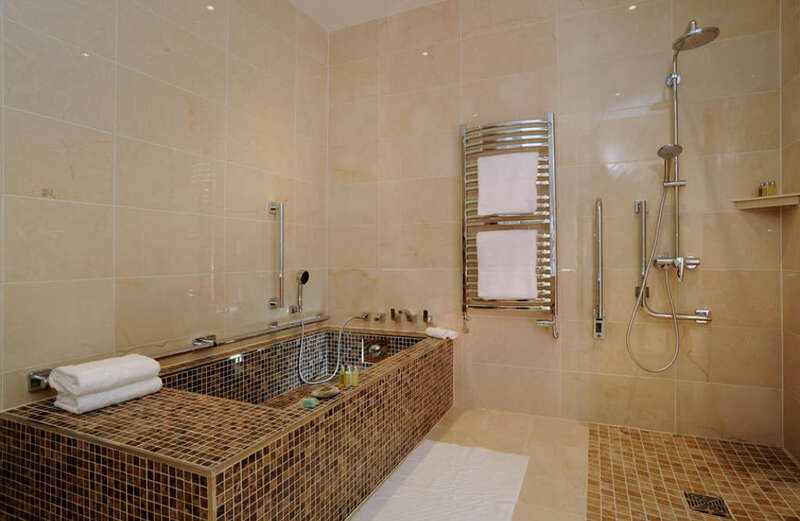 Level access is provided through to the spectacular bathroom with marble floor, marble bath with transfer seat and level access shower with seat. The Courtyard Suite, as its name suggests, also has its own spacious private courtyard garden with level access from the bedroom. 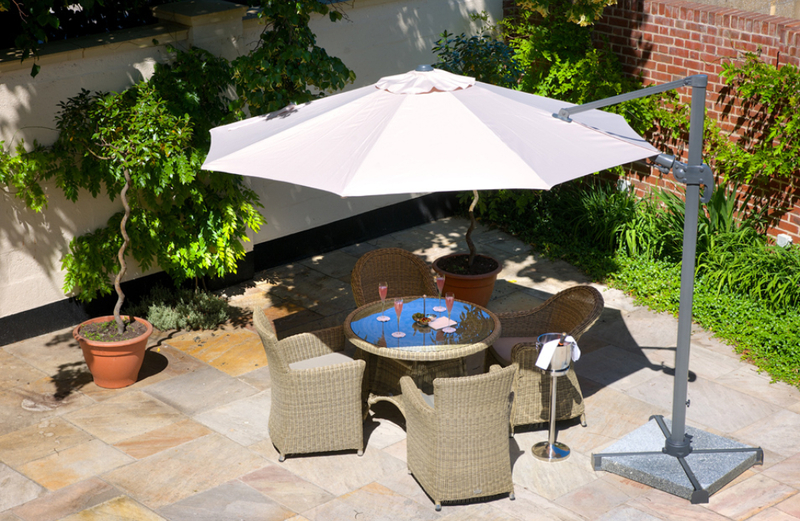 A sun trap in summer months, the courtyard provides an elegant space with terrace, seating and planting, perfect for an intimate breakfast, lunch, afternoon tea or cocktails in fine weather. 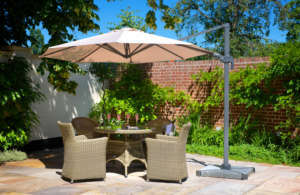 The suite is designed and fitted to conform to the latest regulations and recommendations for wheelchair users. Cancellations can be made 48 hours prior to arrival without incurring a charge, after this period or in the event of non check in full payment will be charged.